Treating type I diabetes and other immune disorders is so hard partially because researchers aren’t really sure why some people develop the disease while others don’t. One in three people carry the genetic possibility for the disease, but far fewer go on to actually develop it. To make immune disorders and their treatments easier to study, scientists at the Columbia University Medical Center have come up with a way to replicate individual humans’ immune systems in mice. In other words, scientists can now make a complete copy of your immune system in the body of a small rodent. The mouse immune models will provide an unprecedented opportunity for research into why some people develop immune diseases, but they will also allow doctors to try out treatments without risking human patients’ health. The models are created by inserting bone marrow stem cells from the human patient, along with a tiny piece of thymus (an immune system organ) tissue, into the thin membrane surrounding the mouse’s kidney. 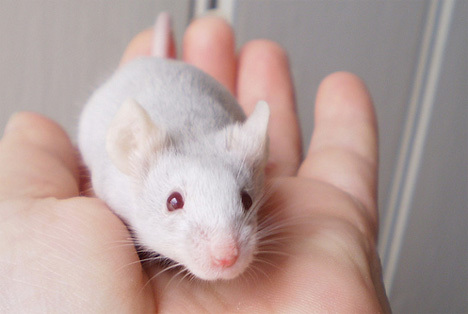 After six to eight weeks of incubation the mouse has developed an immune system identical to that of the human donor. 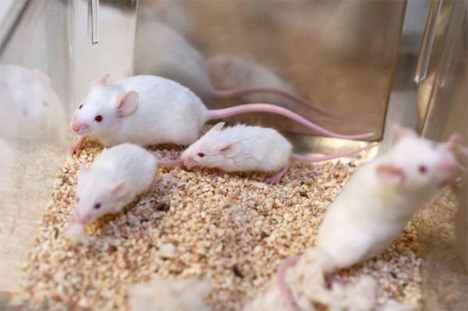 The controversial subject of animal testing aside, this research could prove invaluable in finding effective treatments not only for diabetes, but also for cancer and other immune disorders. See more in Medical Marvels or under Science. March, 2012.